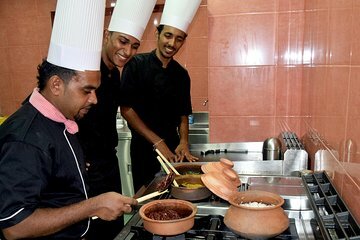 Delve deeper into Sri Lankan cuisine than possible from eating at Negombo’s restaurants with this private class. Head to a quality hotel and meet the chef. Then, learn your way around local spices and cook five different curries with the chef’s undivided attention. Afterward, enjoy your creations for lunch and receive a souvenir certificate and recipe sheet. A choice of time slots and return transfers from various locations are included.